HISTORY OF LIFE – IN THE FOSSIL AND ROCK RECORD! 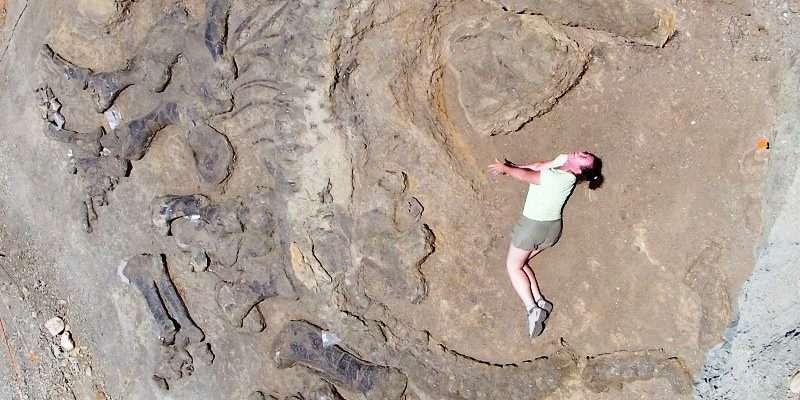 See dinosaur bones and footprints, visit fossil dig sites, and watch how professional paleontologists reconstruct the life of the past. The Bighorn Basin in Wyoming is the setting for one of the finest natural teaching laboratories in the western hemisphere. Every major time period is represented by rocks and fossils. We will spend three days looking at both terrestrial and marine sequences that document the changing history of life during the last 600 million years. Teachers will be able to collect INVERTEBRATE and PLANT fossils for their classroom activities. On June 30, there is an OPTIONAL visit to the Wyoming Dinosaur Center in Thermopolis with Dr. Brett-Surman. Additional fees will apply. NOTE: Participants should be physically able to spend three days in the field in rugged open terrain, carrying their own water and supplies – backpacks and good hiking shoes recommended. Wyoming Professional Teaching Standards Board: Two (2) hours of professional growth credit has been tentatively approved for each workshop. Teachers taking the workshops for credit must develop and submit a lesson-plan derived from their workshop experience. We have found, through past assessment of the program based on discovery-based exercises, post-workshops evaluations, and anecdotal feedback, that participants substantially increase their confidence and interest in teaching earth-science concepts. 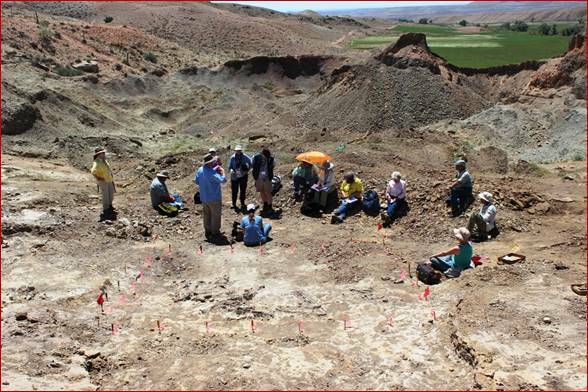 Our base of operations is the recently-remodeled Karl Vondra Geology Field Camp, (Iowa State University geology field camp) located three miles east of Shell, Wyoming. 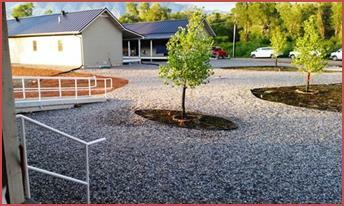 Located on the banks of Shell Creek, this facility features two new dorm-style buildings, each with five modules. Each module has up to four bunks, restroom facilities, and air conditioning. There is also a large classroom unit with meeting space, handicapped restrooms, and washer/dryers. Workshop participants have the option to stay and dine on-campus during the workshops (at additional cost). There are two large dorm room style buildings, each with five modules equipped with up to four bunks, restroom facilities, high speed internet, and air conditioning. Class sizes are limited, so early registration is recommended. Optional visit to Wyoming Dinosaur Center not included. Includes four nights, three full days. Twin sheets, pillow, blanket, bath towel, hand towel, washcloth provided, plus meals.